Biomechanical assessments are done using a combination of traditional methods and the latest foot scanning technology. This has proved especially beneficial to those playing sport and also to those who spend a lot of time on their feet. Existing clients include both amateur and professional sportsmen and women from a wide variety of different sports such as golf, rugby, hockey, marathon running and cycling. • Foot scanning can help with diagnosis for anyone with biomechanical problems, and has benefited many top athletes. • Scanning is a simple procedure that involves the patient walking or running across a special sensor pad. • This can detect minute differences between the left and right foot that would not be noticed by the naked eye. • The procedure is fast and dynamic, giving accurate measurements when standing, walking or running. • This state of the art equipment enables me to assess, treat and evaluate the effectiveness of treatments. 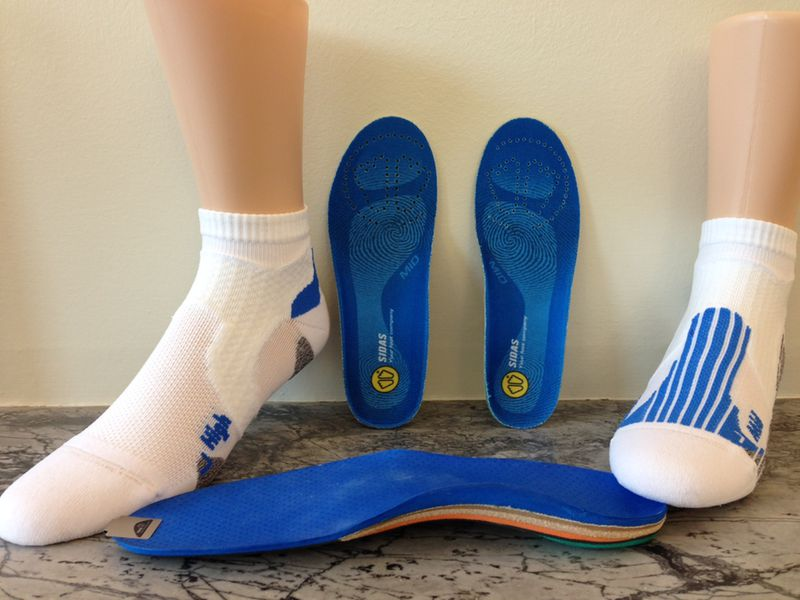 Orthotics, or insoles, can be used to help control and correct the alignment of the foot. In some cases they are provided purely for comfort and shock absorption. In the first case, a bespoke or custom made orthotic will usually be more effective, whereas in the second situation, an off the shelf orthotic may prove adequate. The Clinic provides a custom made orthotic service based on a combination of traditional methods and the latest foot scanning technology. This has proved especially beneficial to those playing sport and also to those who spend significant periods of time on their feet.